Did someone you love suffer elder abuse or neglect at Apple Valley Center? Our lawyers can help. Abuse of the elderly is not acceptable and we fight hard in these types of cases. If you suspect a nursing home or caregiver has caused harm to your loved one in someone elses’ care, contact our law firm today for a free legal consultation. Talking to us does not obligate you to anything, but we may be able to tell you if you have a claim and the value of your case. If we accept your case, you pay no fee unless we recover for you. 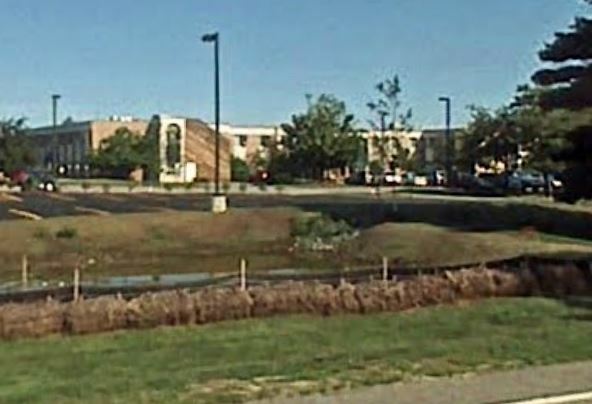 Apple Valley Center is a for profit, 123-bed Medicare/Medicaid certified skilled nursing facility that provides services to the residents of Maynard, Acton, Sudbury, Concord, Hudson, Wayland, Marlborough, Westford, Weston, Bedford, and the other towns in and surrounding Middlesex County, Massachusetts. The Centers for Medicare and Medicaid (CMS) rates all nursing homes that accept medicare or medicaid benefits. CMS created a 5 Star Quality Rating System—1 star is the lowest rating and 5 stars is the highest—that look at three areas. As of 2017, Apple Valley Center in Ayer, Massachusetts received a rating of 2 out of 5 stars. The Federal Government fined Apple Valley Center $29,432 on December 5th, 2016 for health and safety violations. Failed to develop policies that prevent mistreatment, neglect, or abuse of residents or theft of resident property. **NOTE- TERMS IN BRACKETS HAVE BEEN EDITED TO PROTECT CONFIDENTIALITY** Based on record review and interview the facility staff failed to follow their policy to provide complete investigations for bruises of unknown origin for 2 residents (#3, #12) and failed to provide a complete investigation of a fall for 2 residents (#1, #15), in a sample of 22 residents. -Injuries of unknown source are defined as an injury with both of the following conditions. 2. The injury is suspicious because of the extent of the injury or the location of the injury (e.g., the injury is located in an area not generally vulnerable to trauma) or the number of injuries observed at one particular point in time or the incidence of injuries over time. -Injuries of unknown origin will be investigated. -The Center Executive Director (CED), Center Executive Nurse (CEN) or designee will review all accident/incidents to determine if the required documentation was completed and that interventions to prevent further accidents/incidents have been identified and implemented. -When conducting an investigation the CED, CEN or designee would use the Witness Interview Form to conduct witness interviews from all staff and visitors who may have knowledge of the accident/incident. -The investigation will be completed in 5 days. -The purpose of the policy included defining causative/contributing factors and to institute preventative measures to avoid further occurrences as part of the Quality Assurance Performance Improvement Process. 1. For Resident #3, the facility staff failed to provide a complete investigation for a bruise of unknown etiology and failed to initiate interventions to prevent further accidents/incidents. Resident #3 was admitted to the facility in 1/2016 with [DIAGNOSES REDACTED]. Review of the quarterly Minimum Data Set (MDS) assessment, dated 9/28/16, indicated the Resident had severe cognitive deficits with a Brief Interview for Mental Status (BIMS) score of 7 out of 15. Further review indicated he/she had no mood or behavior issues. Review of a Change in Condition note, dated 10/15/16, indicated the nurse discovered a bruise on the left lower extremity, from hip to knee, when she administered medications. The bruise was purple in color. Further review of the note indicated actual dimensions of the bruise were not documented and the resident could not recall how it happened. Review of the Risk Management System Report, with a completion date of 10/21/16, indicated the nurse went to the Resident’s room to administer medication and noticed a bruise on the left femur, from hip to knee. The report indicated the Resident had no complaint of pain or discomfort. Further review of the report indicated the Resident sometimes pushes a chair up against his/her door, possibly using his/her hip. The corrective action was to continue to monitor. There were no staff interviews conducted to help determine the cause of the bruises and the dimensions of the bruise were not documented. Review of a Change in Condition Follow-Up note, dated 10/18/16, indicated the resident continued to push a chair up against the door at night and recommended continued monitoring and to encourage the Resident to leave the chair away from the door. Review of Physician/Nurse Practitioner Progress notes, dated 10/26/16 and 10/28/16, did not mention the bruise. Review of the care plan for risk of bruising, with a target date of 6/13/17, indicated no new interventions had been added since 1/27/16. During an interview on 4/13/17 at 2:00 P.M., the CED said she only located the Risk Management Report for the bruise and could not locate any witness statements taken at the time the bruise was discovered. She said she was not the CED at the time of the incident and the CEN had changed as well. During an interview with the CED and CEN, on 4/19/17 at 10:30 A.M., the CEN said that part of the facility investigation process is to interview all staff until they can determine the time frame and possible cause of a bruise. 2. For Resident #15, the facility staff failed to provide a complete investigation and provide appropriate interventions for a fall. Resident #15 was admitted to the facility in 10/2014 with a [DIAGNOSES REDACTED]. Review of the quarterly Minimum Data Set (MDS) assessment, dated 10/26/16, indicated the Resident had severe cognitive deficits with a BIMS score of 0 out of 15. Review of a Risk Management System report, dated 12/19/16, indicated the Resident had a fall at 1:05 P.M. The summary indicated the Resident was found by a Certified Nurse Aide (CNA), sitting on the floor with feet extended out straight and pants pulled down slightly. Further review of the report indicated the Resident was incontinent of urine at the time of the fall. There were no witness statements or conclusions as to how the fall may have occurred. Review of a Post Incident Team review form, dated 12/21/16, indicated staff education would be provided to toilet the Resident after meals. Review of the falls prevention care plan indicated a goal, with a target date of 1/25/17, to encourage the Resident to call for assistance when going to the bathroom. (Although the Resident had severe cognitive deficits) During an interview on 4/19/17 at 9:00 A.M., the CED said she was unable to locate any witness interviews completed during the fall investigation. She said she did not have any additional information or documentation she could provide from the time of the investigation. 3. For Resident #1 the facility staff failed to provide a complete investigation for an unwitnessed fall by failing to interview the CNA who provided care. Resident #1 was admitted to the facility in 5/2012 with a [DIAGNOSES REDACTED]. Review of the annual MDS assessment, dated 9/28/16, indicated the Resident had moderate cognitive deficits with a Brief Interview for Mental Status (BIMS) score of 8 out of 15. Review of a Risk Management System report, dated 11/18/16, indicated the Resident had an unwitnessed fall at 1:05 P.M. The report indicated the Resident requested to go to bed, so the CNA went to get gloves in order to change the Resident’s incontinent products. Meanwhile, the Resident attempted to self-transfer back to bed and fell . No injury was sustained. Review of 3 out of 4 witness statements indicated CNA #1 was in or near the Resident room at the time of the fall. Further review of the statements indicated that CNA #1 did not complete a witness statement at the time of the investigation. During an interview on 4/18/17 at 2:00 P.M. the CED said she didn’t know why CNA #1 was not interviewed at the time of the investigation. She said the investigation was conducted by the former CEN. 4. For Resident #12 the facility staff failed to complete an investigation related to 1 bruise of unknown origin. Resident #12 was admitted to the facility in 11/2013 with [DIAGNOSES REDACTED]. Review of the annual MDS assessment, dated 8/11/16, indicated the Resident was cognitively intact with a score of 15 out of 15 on the Brief Interview for Mental Status assessment. Further review indicated the Health Care Proxy was activated. Review of the nurses note, dated 11/4/16, indicated the Resident was found to have a bruise to the left outer thigh that measured 6 centimeter (cm) x 4 cm and a 2 cm x 2 cm bruise to left inner knee. Review of the Event Summary, dated 11/4/16, indicated the Resident told the staff he/she didn’t know how the bruises happened and the bruises were unwitnessed by staff. Further review indicated there were no staff interviews conducted to help determine the cause of the bruises. During an interview on 4/18/17 at 9:00 A.M., the CED said the only information they had is what was given to the surveyor and there are no witness statements. Failed to make sure services provided by the nursing facility meet professional standards of quality. **NOTE- TERMS IN BRACKETS HAVE BEEN EDITED TO PROTECT CONFIDENTIALITY** Based on record review and interview the facility staff failed to rotate insulin injection sites for 2 residents (#6 and #9) out of a total sample of 22 residents. Review of 2016 Nursing Drug Handbook indicates the following: For insulin Gargline and Humalog insulin, administer by subcutaneous (sc) only in the thigh, abdominal wall, or upper arm. Rotate sites within same region (abdomen, thigh, or deltoid) from one injection to the next to reduce risk of [DIAGNOSES REDACTED] (a lump in the skin that forms when injections are repeatedly administered in the same spot). 1. Resident #6 was admitted to the facility in 5/2010 with a [DIAGNOSES REDACTED]. Review of the 1/2017 physician’s orders [REDACTED]. Review of the 2/2017 Medication Administration Record [REDACTED]. Further review indicated the insulin was administered in the left arm on 2/10-2/11, 2/17-2/18, 2/19-2/20, and 2/24-2/25. Review of the 3/2017 MAR indicated [REDACTED]. Further review indicated the insulin was administered in the left arm from 3/9-3/12 and 3/15-3/16, in the right arm 3/21-3/22 and 3/24-3/25. Review of the 4/2017 MAR indicated [REDACTED]. Further review indicated the insulin was administered in the left arm 4/1-4/2, 4/6-4/7, 4/9-4/10, 4/13-4/14, in the right arm 4/3-4/4 and 4/11-4/12. During an interview on 4/18/17 at 1:10 P.M., Unit Manager (UM) #2 reviewed the above stated MARs and said the insulin injections were not rotated as they should have been. 2. Resident #9 was admitted to the facility in 10/2015 with a [DIAGNOSES REDACTED]. Review of the 1/2017 physician’s orders [REDACTED]. Review of the 2/2017 MAR indicated [REDACTED]. Further review indicated the Resident was administered Humalog insulin (per sliding scale) in the left lower quadrant of abdomen (LLQ) 2 out of 3 times on 2/4, 2/7, and 2/18; in the left arm 2 out of 3 times on 2/6. Review of the 3/2017 MAR indicated [REDACTED]. Review of the 4/2017 MAR indicated [REDACTED]. During an interview on 4/18/17 at 11:50 A.M., UM #1 reviewed the above stated MARs and said the insulin injections were not rotated as they should have been. Failed to provide care by qualified persons according to each resident's written plan of care. **NOTE- TERMS IN BRACKETS HAVE BEEN EDITED TO PROTECT CONFIDENTIALITY** Based on record review and interview the facility staff failed to follow the written plan of care regarding fall interventions for 2 residents (# 16 and #11) out of a total sample of 22 residents. 1. For Resident #16 the facility staff failed to follow the plan of care to prevent 2 out of 2 falls. Resident #16 was admitted to the facility in 12/2013 with [DIAGNOSES REDACTED]. Review of the care plan for Activities of Daily Living (ADLs), initiated on 9/20/13 with goal date of 5/30/17, indicated the Resident was helpless and would not change position without physical help of 2 staff assist, was unaware of surroundings and unable to recognize needs, and required 2 staff assist for transfers using a sit to stand lift. Review of the Physical Therapy discharge summary, dated 8/7/15, indicated the Resident was to be transferred from bed to/from wheelchair to/from toilet using a rolling walker with extensive assist of 2.
Review of the annual Minimum Data Set Assessment (MDS), dated [DATE], indicated the Resident had moderate cognitive impairment with a Brief Interview for Mental Status (BIMS) score of 8 out 15 and required extensive assist of 2 for toilet use. Review of the 9/3/16 nurses note indicated the resident sustained [REDACTED]. Review of the Event Summary, dated 9/3/16, indicated the Resident was standing at the bar in his/her bathroom when legs and arms became weak. The Resident was lowered to the floor by the Certified Nurse Aide (CNA). No injuries were sustained. The Resident was transferred by one CNA, not two with a sit to stand lift as was care planned. During an interview on 4/19/17 at 10:45 A.M., the Center Executive Nurse (CEN) said the Resident should have had 2 person assist for transfers at the time of the fall. Review of the quarterly MDS assessment, dated 3/1/17, indicated the Resident had severe cognitive impairment with a BIMS score of 6 out of 15, was totally dependent for bathing with 2 person assist, and required extensive assist of 2 for transfers. Review of the nurses notes, dated 3/28/17, indicated the resident sustained [REDACTED]. Review of the Event Summary, dated 3/28/17, indicated the Resident was standing in the shower stall holding on to the bar and CNA was getting him/her dressed. The Resident lost the grip on the bar and began sliding down, hitting his/her head on the wall. The CNA attempted to break the fall. The Resident was transferred by one CNA, not two with a sit to stand lift as was care planned. During an interview on 4/19/17 at 7:45 A.M., Unit Manager #2 said the Resident was supposed to have had 2 person assist with a sit to stand lift for the fall that occurred on 3/28/17 and the care plan wasn’t followed. Failed to make sure that each resident who enters the nursing home without a catheter is not given a catheter, and receive proper services to prevent urinary tract infections and restore normal bladder function. **NOTE- TERMS IN BRACKETS HAVE BEEN EDITED TO PROTECT CONFIDENTIALITY** Based on observation, record review and interview, the facility staff failed to provide an assessment upon a change in urinary incontinence and failed to develop individualized interventions to restore as much bladder function as possible for 1 resident (#8) out of 14 applicable residents in a total sample of 22 residents. Review of the facility Continence Management policy, revised 3/15/16, indicated the following: A Urinary Continence Assessment and the Three-Day Continence Management Diary would be completed if the patient is incontinent on admission, readmission and with a change in condition or change in continence. A care plan would be developed based on assessments and the Diary. Resident #8 was admitted to the facility 8/2015 with [DIAGNOSES REDACTED]. Review of the admission Minimum Data Set (MDS) assessment, dated 8/29/15, indicated the Resident was not on a toileting schedule and was continent of urine. Review of the quarterly MDS assessment, dated 5/12/16, indicated the Resident was not on a toileting schedule and was continent of urine. Review of the annual MDS assessment, dated 7/28/16; and the quarterly MDS assessments, dated 1/11/17 and 4/5/17, indicated the Resident was not on a toileting schedule and was frequently incontinent of urine. Further review of the assessments indicated the Resident was cognitively intact, with a Brief Interview for Mental Status (BIMS) score of 15 out of 15 Review of the incontinence care plan indicated a goal, with a target date of 4/11/17, that the Resident would have incontinence care needs met by staff to maintain dignity and comfort and prevent incontinence related complications. Further review of the care plan indicated no new interventions had been added since 6/6/16. During an interview on 4/13/17 at 8:45 A.M., Unit Manager (UM) #1 said a Urinary Continence Assessment or a Three-Day Continence Management Diary had not been completed since admission, as per facility policy. Failed to keep the rate of medication errors (wrong drug, wrong dose, wrong time) to less than 5%. **NOTE- TERMS IN BRACKETS HAVE BEEN EDITED TO PROTECT CONFIDENTIALITY** Based on observation, record review, and interview the facility staff failed to have a medication error rate of 5% or less. Of 25 opportunities, 2 of 4 Licensed Nurses (Nurse #1 and Nurse #2) did not administer medications as ordered by the Physician to Non-Sampled Residents (NS) #1, NS #2 and NS #3. This resulted in a medication error rate of 11%. 1. During observation of medication pass on 4/12/17 at 3:45 P.M., with Nurse #1, the surveyor observed the following: Review of the 1/2017 signed physician’s orders [REDACTED].#1 indicated an order for [REDACTED]. Nurse #1 prepared [MEDICATION NAME] 25 mcg one half tab (12.5 mcg) for NS #1. He brought the medication to the Resident’s room and instead of administering it to NS #1, he administered it to NS #2. The surveyor asked Nurse #1 if he was familiar with the facility and their residents and he said he worked there often, through the agency (organization that provides nursing staff to the facility to fill vacant shifts). The surveyor asked if he had administered the prepared medication to the correct Resident. Nurse #1 went to the electronic Medication Administration Record [REDACTED]. He did so, and said he had given the medication to the wrong Resident. When the surveyor questioned if the dose was correct, he said it should have been 25 mcg, not 12.5 mcg. Review of the 11/2016 signed physician’s orders [REDACTED].>Nurse #1 then prepared medication for NS #2 (who had just received [MEDICATION NAME] 12.5 mcg and was scheduled to receive 75 mcg). Nurse #1 said he was unable to administer the remaining 62.5 mcg of [MEDICATION NAME] to equal the total ordered dose of 75 mcg because he didn’t have the denominations of the medication to equal 75 mcg. He called the Nurse Practitioner who gave a one time order to administer the 75 mcg of [MEDICATION NAME] in addition to the 12.5 mcg to equal a total one time dose of 87.5 mcg. Nurse #1 said he should have been more careful to avoid giving the wrong medication to the wrong Resident. 2. During observation of medication pass on 4/13/17 at 9:05 A.M., the surveyor observed Nurse #2 prepare medications for NS #3. NS #3 was admitted to the facility in 9/2015 with [DIAGNOSES REDACTED]. Review of 11/2016 signed physician’s orders [REDACTED]. Nurse #2 popped one tablet of [MEDICATION NAME] 50 mg into the medication cup and administered the medication, along with several other medications, to NS #3. Nurse #2 told the surveyor she had given the Resident all of his/her medications. The surveyor inquired about the [MEDICATION NAME], as the physician’s orders [REDACTED].#2 had only administered 50 mg. Nurse #2 went into the medication cart and pulled out a card of [MEDICATION NAME] 25 mg tablets that did not have a label with patient name or administration directions. Nurse #2 popped one 25 mg tablet and administered it to NS #3. She said she would then discard the medication card since it didn’t have a label on it and reorder the correct dose for the Resident. Failed to maintain drug records and properly mark/label drugs and other similar products according to accepted professional standards. **NOTE- TERMS IN BRACKETS HAVE BEEN EDITED TO PROTECT CONFIDENTIALITY** Based on observation and interview, the facility staff failed to properly store and label medications in 1 out of 6 medication carts. During observation of medication pass on 4/13/17 at 9:05 A.M., the surveyor observed Nurse #2 prepare medications for NS #3, from medication cart A on North 2. NS #3 was admitted to the facility in 9/2015 with [DIAGNOSES REDACTED]. Review of 11/2016 signed physician’s orders [REDACTED]. Nurse #2 popped one tablet of Sertraline 50 mg into the medication cup and administered the medication, along with several other medications, to NS #3. Nurse #2 told the surveyor she had given the Resident all of his/her medications. The surveyor inquired about the Sertraline, as the physician’s orders [REDACTED].#2 had only administered 50 mg. Nurse #2 went into the medication cart and pulled out a card of Sertraline 25 mg tablets that did not have a label with patient name or administration directions. Nurse #2 popped one 25 mg tablet and administered it to NS #3. She said she would then discard the medication card since it didn’t have a label on it and reorder the correct dose for the Resident. The Facility failed to ensure medications were labeled as required. During an interview on 4/13/17 at 11:15 A.M., Nurse #2 said the items should have been labeled with the resident’s name and they should have been kept in the treatment cart, not the medication cart. If someone you love has suffered neglect or elder abuse by a senior caregiver, nursing home, or other care facility, our lawyers may be able to help. Regardless of whether or not criminal charges are filed against an alleged abuser, you may still be able to pursue compensation in a civil claim. Compensation in elder abuse cases may be awarded if someone in the care of another suffers harm due to intentional or negligent actions (including failure to take action). Abuse of the elderly is not acceptable and we fight hard in these types of cases. If you suspect a nursing home or caregiver has caused harm to your loved one in someone elses’ care, contact our law firm today for a free legal consultation. Talking to us does not obligate you to anything, but we may be able to tell you if you have a claim and the value of your case. If we accept your case, you pay no fee unless we recover for you. Oftentimes, victims of abuse either cannot or will not speak up for themselves out of fear. 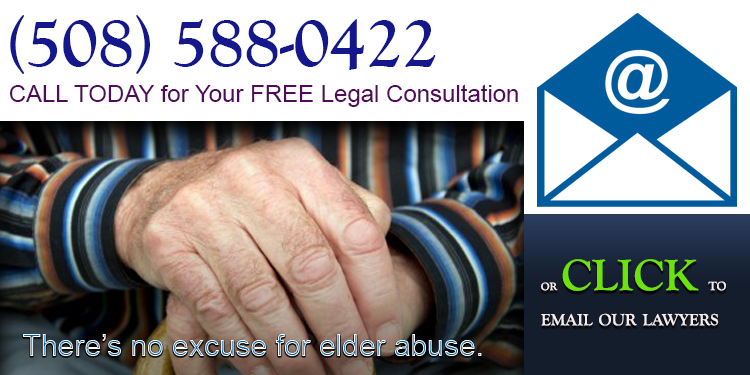 If you notice any warning signs or symptoms of neglect of abuse an an elderly person, it is important you contact an elder abuse lawyer immediately. Not only are there statute of limitations on filing a claim, but the sooner we start helping you, the easier it will be to collect evidence and talk to any witnesses before important details are lost, hidden, or forgotten. We offer a free, no-obligation legal consultation to help you understand your rights and the value of your case. 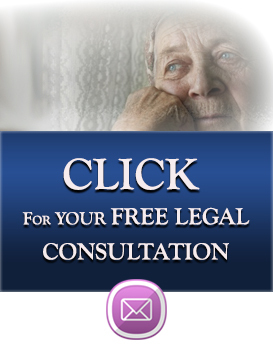 Our personal injury law firm takes cases involving elder abuse and neglect. We offer legal service to clients in Massachusetts, Rhode Island and New Hampshire.